Vland Biotech is engaged inenzyme, probiotics, animal vaccine and animal health businesses, aiming to provide a healthy growth environment for animals, control disease, and reduce pollution into the environment. Improve the digestion and absorption of cellulose , phytate phosphorus and etc., reduce inorganic phosphate in feed, save feed cost and minimize the risk of phosphorus. Improve nutrients availability and FCR, decrease antibiotics, and partly replace antibiotics. Years of experience on probiotics application in animals, Vland Biotech has successfully developed a number of solutions for feeding and breeding animals. Balance animal gut stability, improve animal performance and quality, improve feeding environment, and reduce the dependence on antibiotics. Provide necessary support for green animal feeding. “Prevention is better than cure”. Vland put the philosophy into practice, to ensure the animal survival rate and qualification rate of animal products, offering a full range immune solution for animal health. 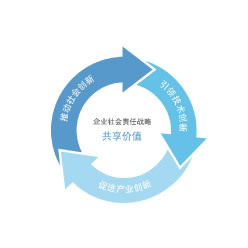 Guided by the traditional Chinese medicine theories, Vland put it into practice to improve animal health, increase the productivity and improve meat quality, improve animal sub-healthy, prevent and cure animal diseases. When disease breaks out, reasonable and timely use of chemical drugs is crucial to minimize the loss. Functional drugs, such as Vitamins and Organic Acids can also effectively improve animal productivity.